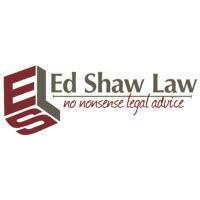 While some lawyers choose to focus on a specific area of law, the attorneys at Ed Shaw Law have chosen to focus on a specific region of Minnesota. For nearly 20 years, our firm has provided reliable, no-nonsense legal advice to residents of Brainerd, Baxter, Crosslake and the rest of Crow Wing County. We enjoy making the law accessible and easy to understand, and we are committed to the well-being of the individuals, families and businesses that make up our community. Even a common and seemingly simple legal situation can become complex. Our law firm seeks practical solutions to help reduce stress, whether you have come to us for help with bankruptcy, divorce or a real estate dispute. We take emergency and short notice cases, and we handle every case with dignity and respect. We welcome you to contact our Brainerd office to discuss your legal situation with our legal team. To ensure that our services are available to everyone, we accept credit cards as a method of payment. To schedule a consultation, please call 800-507-0352.